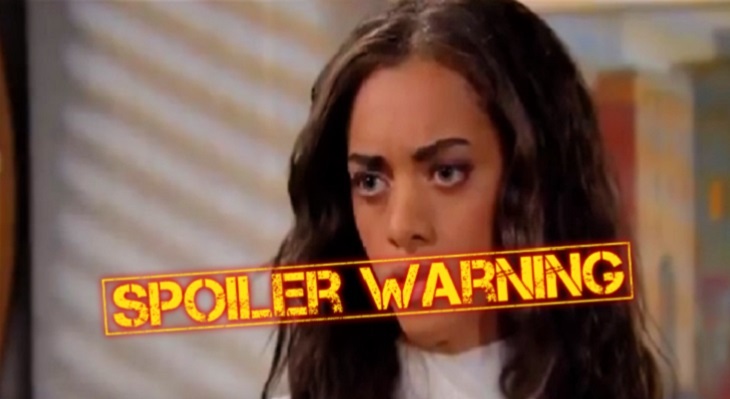 “The Bold and the Beautiful” (BB) spoilers for Friday, February 8, 2019 tease that we will have a day filled with one having doubts, another tries to clear her mind, and let’s not forget plenty of drama. We have a very eventful day coming up and you will not want to miss a moment of the action! Doubting Florence’s (Katrina Bowden) story, Zoe Buckingham (Kiara Barnes) pays her another visit, this time with explosive results. Zoe hasn’t been able to get it off her mind that when Catalina Island was brought up Florence told her she was sorry. She knows Florence knows more about her father, Dr. Reese Buckingham (Wayne Brady), then she is letting on. Zoe will be determined to get some answers. According to Bold and the Beautiful spoilers, Zoe Buckingham will go and question Florence again in which this time she will have a little more success. Zoe is not going to let things go until she can figure out what is going on with her father. She feels like he has got himself into some type of trouble as he has done in the past and she is very worried about him. Do you think Florence will end up coming clean? Other “Bold and Beautiful” spoilers suggest that unable to get the child off her mind, Hope Logan Spencer (Annika Noelle) asks Liam Spencer (Scott Clifton) to take her to Steffy Forrester Spencer’s (Jacqueline Wood) to visit the baby. Hope felt a calming sense the last time she was with baby Phoebe and would like to see her again. She feels being around Phoebe is helping her with her loss of Beth. Do you think she will ever figure things out or start to remember more details?